Connecting Cities’ Scattered Bikeways Is Going to Be Harder, But Worth It – Streetsblog USA - Alliance Transportation Group, Inc. When the low-hanging fruit has all been eaten, there’s only one thing to do: climb higher. This catch-as-catch-can method has left cities with bike networks that look like so many pick-up sticks: better than nothing, but far less intuitive or comfortable than the cities’ driving networks. Is it any wonder that bike transportation, though growing, remains fairly unusual even in the bike-friendliest big cities? 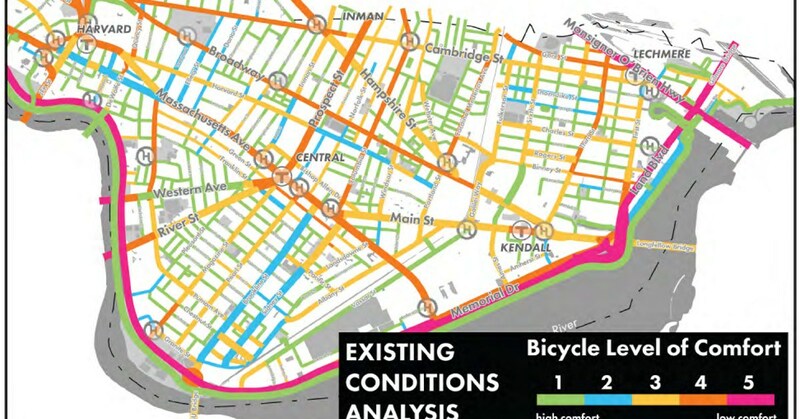 According to a memo accompanying the project, cities are now looking systematically for possible connections between their existing bikeways. These examples [in Austin, New York City, Tallahassee, Seattle and Vancouver B.C.] demonstrate the value in shifting away from focus on the “low-hanging fruit” of bike infrastructure – streets with excess auto capacity or unused parking – and toward the most important roads for bicycle connectivity, even if they require difficult tradeoffs. These changes may be more politically difficult, but if chosen well they promise bigger payoffs in ridership and safety. The PBIC is also circulating the Bike Network Mapping Idea Book published last year by the Federal Highway Administration. It includes 23 examples of bike maps of different scales: state, regional, county, city, campus. The book identifies the key features of each map.